Printing can be a complicated process, depending on what you want to print, and how you want to configure it. Luckily, .NET 2.0 has helped make the process easier, but it can still be a little confusing at times, especially when dealing with advanced printing configuration. So, this article will show you where to begin the printing process. Now to start, you will have to include a major part of the .NET Framework, System.Drawing.Printing, which handles all generic printing. 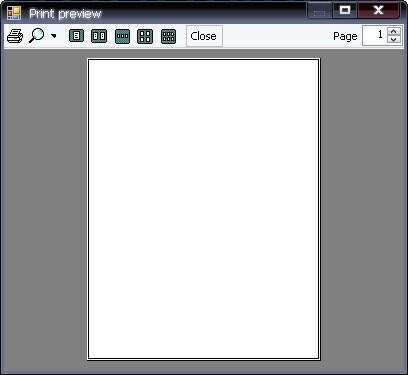 And, there are four controls that have to be added to your form, the PrintDocument, PrintDialog, PrintPreview, and the PageSetup controls. Now, the PrintDialog control is not required, but is a good thing to include because it allows the user to select printer properties, page numbers, and many other essential options. The PageSetup control is next, and is very simple. 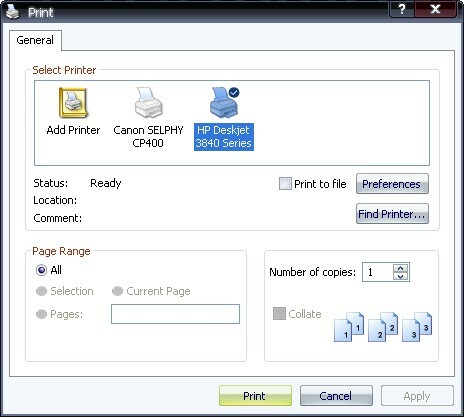 All you do is send all the selected settings in the control to the PrintDocument control. Everything in the code above sets page properties and takes settings set by other controls, users, and dialogs, puts them together, sets the page up (line/letter spacing) and the font. This is where most of the configuration goes on. Now, about all the settings. The PrintTextControl.DocumentName sets the name of the document that will be printed. 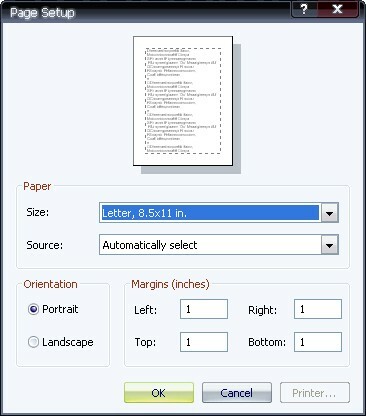 This is also useful if the user has multiple documents standing in line in the Print Spooler so they can distinguish which document is which. And the StringTrimming sets the amount of words and lines that can fit on a single page. This is basically the same as the first bit of code used for the text printing, with only a few modifications. The main key is that you will have to use a separate PrintDocument control for the graphic printing. And, you won’t need to add any settings to it (for a basic configuration). 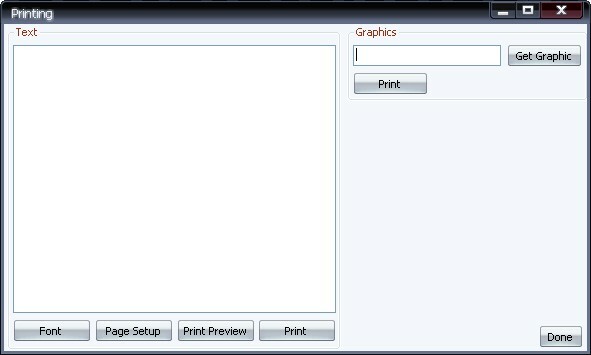 The reason that printing graphics doesn’t require properties to be set in its PrintDocument control is because the program doesn’t have to set fonts, line/letter spacing and etc., to the print control, unlike text printing. Besides the coding, the explanation of printing is difficult. The comments inside the code should provide you with further explanations of how everything works. Also, inside the example program, I included a Font dialog to give you an example of how to print different types of fonts as well as different colors.